Since June 1997, he has been the Director of the Spanish Section of Amnesty International. This human rights organization has more than 80,000 members in Spain, more than 100 working groups, and it is his direct responsibility to run its Central Office where more than 60 employees and more than 200 volunteers work. Until recently he was the Adviser to the Secretary General for Amnesty International’s global projects worldwide. He is currently a member of Amnesty International’s Global Management Team. He has a Degree in Development Studies from Birkbeck College, University of London, which he studied from 1993 to 1995. He is also a university guest professor for the Master’s Degree in Human Rights and Cooperation at the Universities of Granada and the Basque Country, professor of investigation into the violation of human rights in the Master’s Degree on International Relations at the Autonomous University of Madrid and professor at the Institute of Human Rights in the Master’s Degree on Human Rights at the University of La Plata. He lived in several Latin American countries in the early 1990s, including Argentina, Ecuador and Costa Rica, where he worked as an international development consultant within Amnesty International. His work consisted of developing the organization’s structure in these countries. He lived in London and worked for the organization’s International Secretariat in various positions from 1992 to 1996. These include Head of Development of Amnesty International in Latin America and the Caribbean in 1992 and 1993. His work consisted in developing the organization in more than 20 countries in the region. In 1994 and 1995 he was Director of the Organization’s Office of the Secretary General. The Secretary General is the organization’s highest official worldwide. During these years, as Director of the Office, he was the Chief Adviser to the Secretary General and he coordinated the Senior Management Team of the International Secretariat in London. Until June 1997, he was an investigator for human rights violations in Guatemala, Costa Rica and Panama. His work consisted in documenting and investigating violations of these rights in these countries and designing the lobbying of their governments. As a result of this work, he carried out field work with investigation missions in these countries. In recent years he has also carried out 20 field missions on behalf of Amnesty International, gathering testimonies and talking to the respective governments. 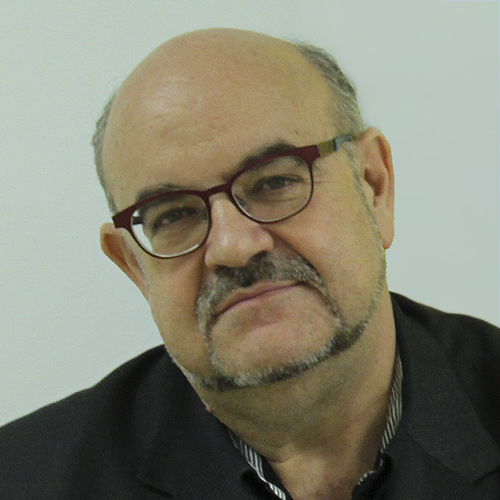 He is author of several books and publications on human rights, the most recent “Derechos Torcidos; Tópicos, mentiras y medias verdades sobre pobreza, política y derechos humanos” (Editorial Debate). He has published a book of poetry “La Jodida Intensidad de Vivir” (Editorial Vaso Roto). He has also published several articles in Spanish magazines and newspapers on human rights.